Relax after a busy day’s work on the Monet one Seater Sofa sipping a cup of tea. Specially designed to provide spinal support and a comfortable seating posture. The off white coloured fully upholstered faux leather sofa has a kiln dried hardwood frame and S-Spring webbing in seat support area, which matches seamlessly with all kinds of room décor. The high resilient foam in seat and poly fill in back makes it cosy and comfortable and it’s maintenance is hassle free. Come home to the finest, with the Monet Leatherette 1 Seater Sofa. This seat offers you the maximum comfort, making it ideal for long leisurely sessions watching the television, or reading at home. 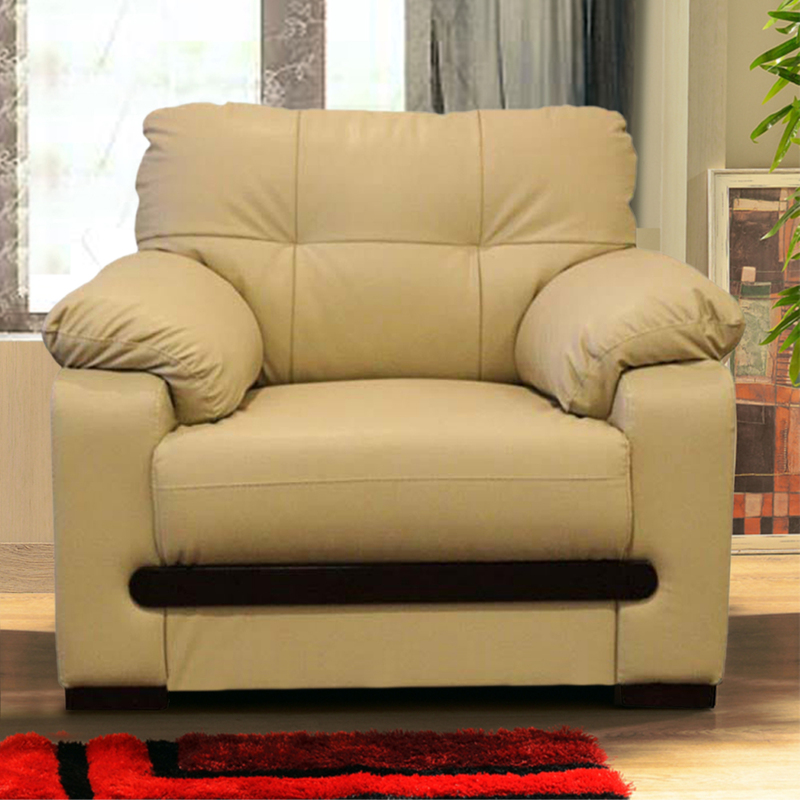 You’ll love how this sofa has been specially designed to provide your back and shoulders with optimum support. Designed to let you correct your seating posture, this sofa is available in a beautiful shade of beige. The kiln-dried hardwood frame, and the use of S-springs and webbing in the construction of this piece make it an extremely firm and durable one. You can choose to buy this piece from our online furniture site, or visit any of our 25 furniture stores across India for the best deals in home furniture.